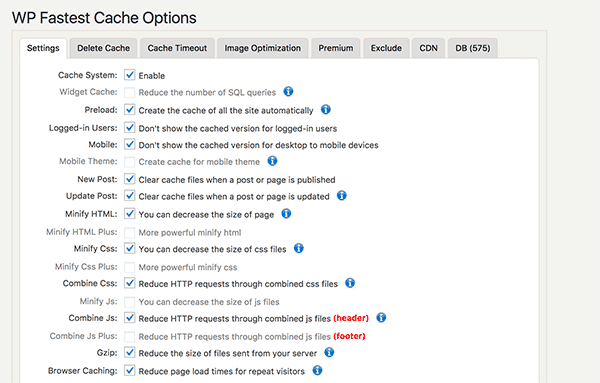 Setting up a WordPress caching plugin is a must, but which caching plugin to choose? I choose two of the very best caching plugins and tested them thoroughly. 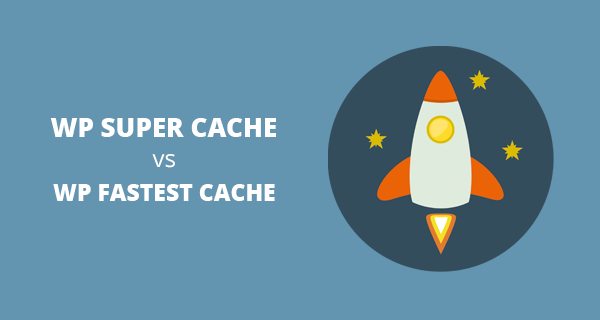 In this guide, I will compare WP Super Cache vs WP Fastest Cache to find out which one is better. Why I Compared WP Super Cache and WP Fastest Cache? Speed is one of the most important factors that affect SEO. As a freelance SEO service provider, I want my website and all my client websites to be as fast as possible. For a WordPress website you must use a caching plugin to achieve better website speed. Now the question is, which caching plugin is the best? There are actually so many of them but I used WP Super Cache vs WP Fastest Cache. WP Super Cache is created by Automattic, which is a company which created WordPress. WP Super Cache is one of the most popular WordPress plugins and at the top among WordPress caching plugins. WP Fastest Cache is also a very popular plugin but nowhere close to WP Super Cache in a number of downloads and installs. It has more than 1700 5 star reviews, which says a lot. I wanted to actually test both plugins on my website and run tests using Pingdom. I also wanted to test them on my client websites. This allowed me to test both WP Super Cache and WP Fastest Cache on different web hosting companies. Before testing the caching plugins, first I wanted to test how my website performs without any caching plugin. Here is the test result of my website without any caching. Yeah, I didn’t believe my eyes either. This test result is very bad and will have highly negative SEO impact. My website was loading in more than 6 seconds. That’s completely unacceptable. Now I wanted to see how WP Super Cache can improve my website speed. I installed and activated the plugin and set it up. The first step was to turn on caching. The second step was to enable gzip compression. This is important because it compresses a web page before sending it to users which makes the page download quicker. WP Super Cache has many advanced options but I only wanted to enable page caching and gzip compression. I looked into minifying CSS and JS but that was not very easy to do with WP Super Cache. After setting WP Super Cache on my website, I tested it using the Pingdom tool. Here is the test result screenshot. Yep, this result is much better. My website was now loading under 635 ms. It was now faster than 95% of all websites. That’s amazing! Now let’s see how WP Fastest Cache compares to such great result. After installing WP Fastest Cache I went to its settings page. It was simpler than WP Super Cache and I was done with settings in a few seconds. Note: I don’t have the premium version of the plugin, just the basic free version. I noticed that they have many more options in their premium version. After the setup, I visited Pingdom website and ran the test. Here is the screenshot of my test result. Now, this is astonishing. My website was now loading under 528 ms and it was faster than 96% of all websites. The following table shows values for WP Super Cache and WP Fastest Cache results on Pingdom. You can clearly see that WP Fastest Cache outperformed WP Super Cache in every aspect. However, the difference isn’t too large between the two. I found out that both plugins WP Super Cache and WP Fastest Cache are great and quickly optimize your website for better speed and SEO. If you are already using WP Super Cache and are happy with the results, then you should keep using it. If you want to further improve your website speed or just starting a new WordPress website, then I highly recommend WP Fastest Cache. I myself will be using WP Fastest Cache on all my websites and will recommend it to all my SEO clients. I hope this case study about WP Super Cache vs WP Fastest Cache offered you a useful comparison. If you like this article, then follow me on Twitter or join my newsletter (only real tips, once a week). I will be sharing more helpful case studies to boost your SEO rankings and website performance. You certainly don’t want to miss them. Thank you for this WordPress cache plugins comparisons…! Thank you for sharing the results of your study case, it’s very helpful. I was just looking for a comparative between these two cache plugins. Thanks for this great post.. Recently I am using W3 Total Cache and thinking about giving WP Fastest Cache a try. Let’s see what happens after migrating to WP Fastest Cache! Ideally, your website should be using one caching system at a time. However, if you want to use 2 caching plugins simultaneously, then make sure that both plugins will not be doing the same thing. I always found that WP fastest cache works really well and I use it on all of my websites. Recently I switched to another web host running on Litespeed. Do you have any experience with LS cache? If you do whats better among both? I haven’t personally used Litespeed Cache yet. However, I heard only good things about this plugin so far. I personally use and recommend WP Fastest Cache because it is easy to use and give better results. Thank you so much. Your article is very helpful. Can i install both plugins? What about with Wp Fastest Cache? I using Premium WP Fastest Cache and it’s really great compared to the free version. I’m currently using WP Super Cache on my site but I’m not really pleased with it as often it’s loosing its configuration (need to repair it each time), a bit complicated to parameter it, and it’s taking +/- a while on the server side for a full refresh of all the static files with or without compression. Thanks for your comparison between WP-SC and WP-FC with the tests results. But it’s just one part of the story. It’s missing at least an other important one which is: How long it will really take to run a full refresh of all the static files on the hosting company servers (dedicated / shared)? PS: Rather than putting-forcing Gutenberg into the core of WP 5, Automattic & Matt Mullenweg would be better integrating the functionalities of a “Real Super Cache” inside the core of WP as CMS is using PHP and without static files delivery to the visitors CMS/PHP today is just an obvious nonsense, as your article is well describing it!